To forget the self is to be awakened by everything. I have been a Zen Buddhist practitioner for 35 years, an MBSR teacher and trainer for almost 25 years, and a Zen teacher for 10 years. The overlap of my study, practice and teaching of Zen and mindfulness has been both inspiring and disturbing – disturbing in the best possible sense of that word. The combination of these two central practices, where they are the same and where they differ, have kept my practice alive and strong. I have devoted my life to looking deeply into what it means to be a human being – how suffering transforms into insight through the practice of being awake to what it actually feels like to be alive to sensations, emotions and thoughts. I met Jon Kabat-Zinn in 1992. I had been studying and practicing Zen for 10 years at that point, and was also working as a counseling psychologist, specializing in grief and trauma. Sitting in his classroom for my first MBSR class and practicum training, I found myself in tears. What he was teaching was completely aligned with what I had been discovering in my Zen practice, and what my Zen ancestor Eihei Dogen had written about in the 13th century: “To study the Way is to study the self.” In ordinary language, Jon engaged us all in the work of studying the self, what Christian mystics call “self-remembering.” What does it feel like to suffer? What is this body? What is present in awareness right now? And what have we turned away from? The following year I started to teach MBSR myself at Jon’s program at the University of Massachusetts. I found that every class I taught had a similar flavor to what I had experienced in Jon’s classroom. People shared their stories of suffering and then learned to investigate how suffering arises in the body, heart and mind. And through that investigation, awareness transformed the difficulties and stress into insight, and into what Dogen as well as Christian mystics, call forgetting the self. That is, the identification with the self as something solid, as a permanent state of illness, despair or agitation, began to loosen and widen. People started to see themselves, no longer as broken and marginalized, but as whole and alive, right in the midst of difficulties. There was always a bias, with many of the people who came to MBSR classes and teacher trainings that mindfulness was some kind of medicine that could cure people of their illnesses and stress. Personally, I never saw the practice as curative – my training in Zen oriented me to a more non-dual perspective. As Jon says, “everyone is a genius.” In Zen practice we might say, “everyone is a fully awakened being.” This awakened nature actually includes our pain and distress – it is not separate from it. As Dogen says, everything, without exception, can awaken us to our true nature. We can embrace conditions and traits that previously caused great distress, knowing that all of these things, our sadness, fear, anger and pain, are part of what makes us fully alive. And this opening to everything means that more joy and happiness is available to us. Over the years I started to deepen my commitment to both mindfulness and Zen. In addition to teaching MBSR classes, I began running training programs and assisting in directing the Stress Reduction Clinic at the Center for Mindfulness at UMass. In my Zen life, my second Zen teacher ordained me as a priest in 2004, and then gave me transmission as a Zen teacher in 2006. My husband David Rynick and I founded a Zen temple in Worcester, Massachusetts in 2009. Eventually, the duties of running a temple and teaching Zen overtook my MBSR teaching, and I left UMass in 2011. David and I continue to teach for the worldwide mindfulness community through offering silent retreats for mindfulness teachers and practitioners, many of whom I had trained through the UMass program. And we also teach Zen retreats at our temple in Worcester. My life continues to be one of self-remembering, self-forgetting and awakening to the vividness of being human. 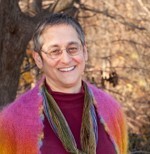 Melissa Blacker, Roshi is a Zen teacher and writer. She taught MBSR, trained teachers and ran programs at the Center for Mindfulness at the University of Massachusetts Medical School for 20 years. She is teaching a two day workshop on mindful embodiment with her husband David Rynick, in Oxford in May, and the following week a weeklong retreat for mindfulness teachers and others using mindfulness in their professional work in North Wales. These are wonderful opportunities to learn from Melissa’s long depth of mindfulness-based teaching experience, combined with her Zen training. Melissa and David’s teaching is alive and inspiring, and combines depth with lightness of touch. Do take the opportunity while they are in the UK to participate!